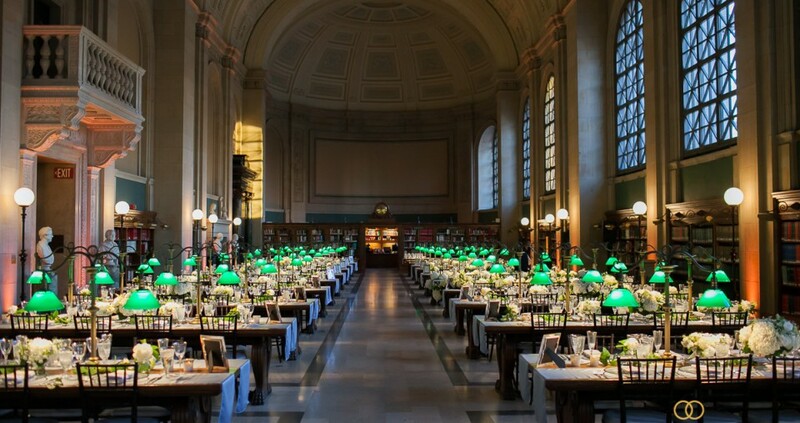 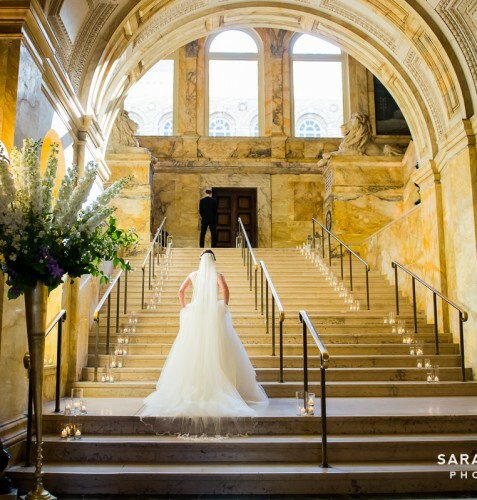 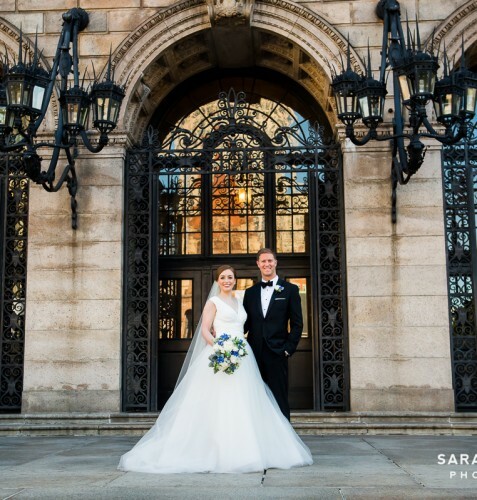 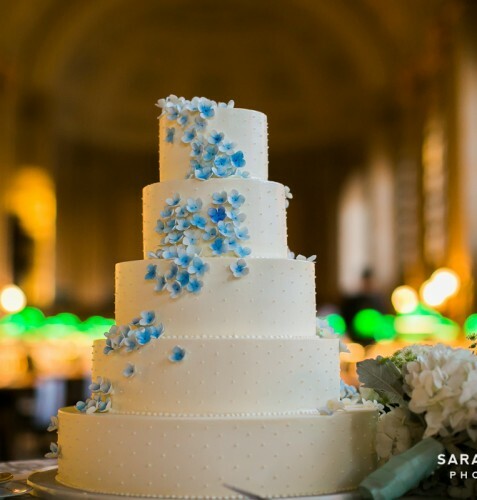 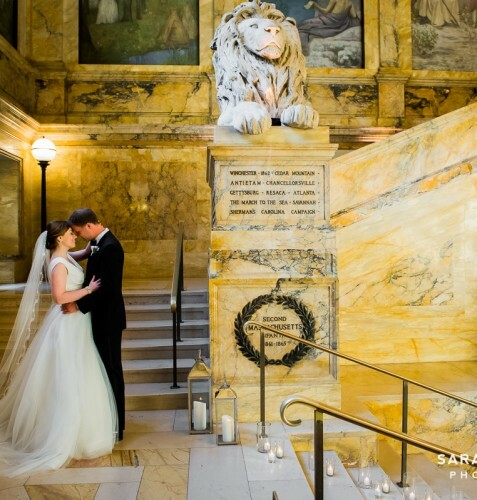 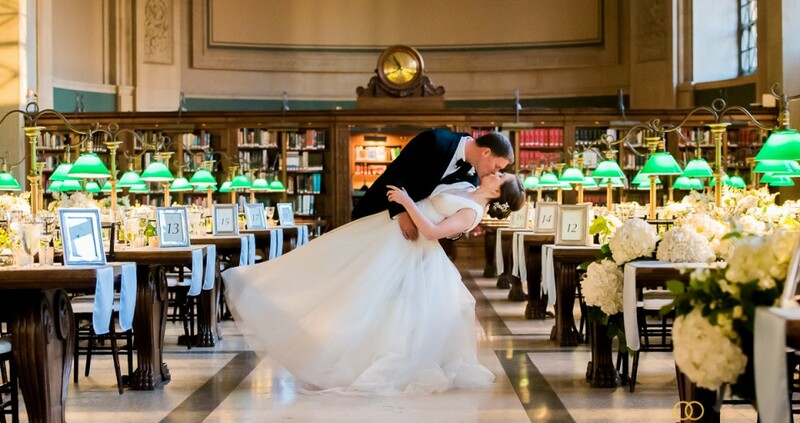 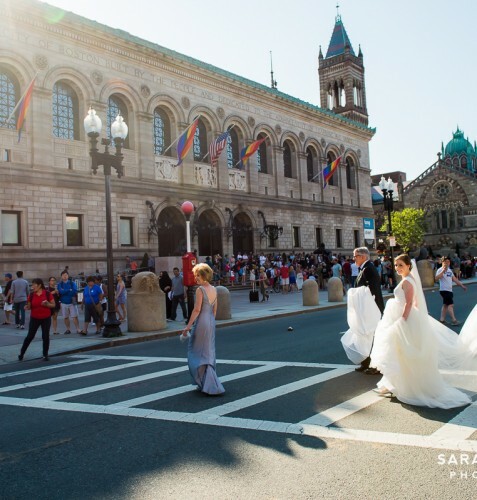 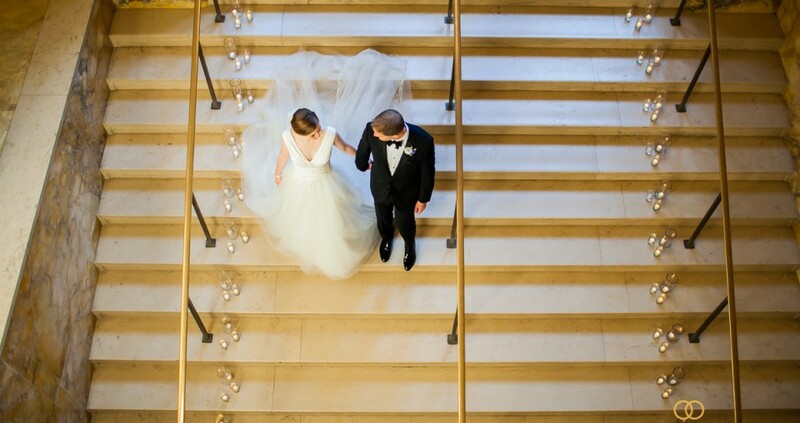 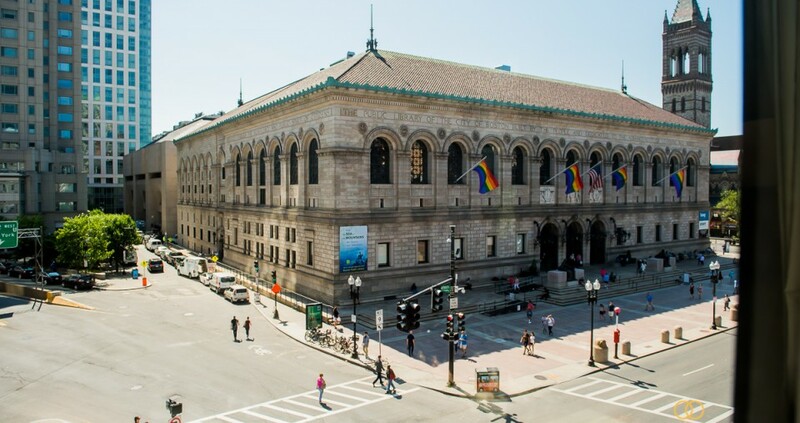 Caroline and Ben’s summer wedding at the Boston Public Library’s Central Library in Copley Square was elegant and chic. 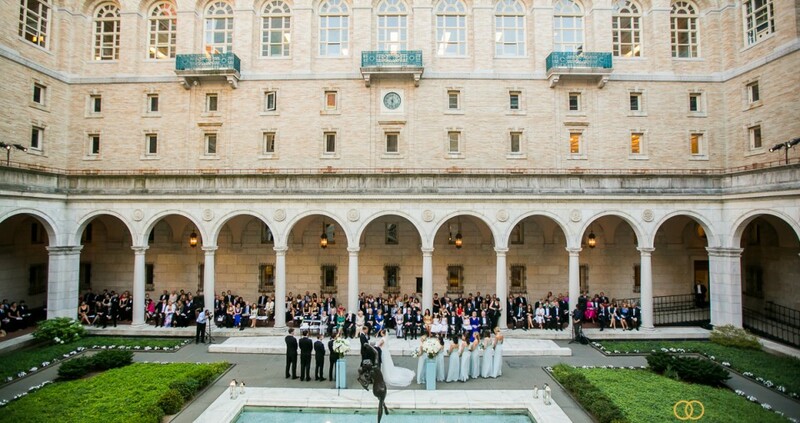 From a simple ceremony in the courtyard where the couple exchanged “I do’s” in front of the bubbling fountain, to their crisp white and light blue reception in the grandeur Bates Hall, the entire evening was breathtaking. 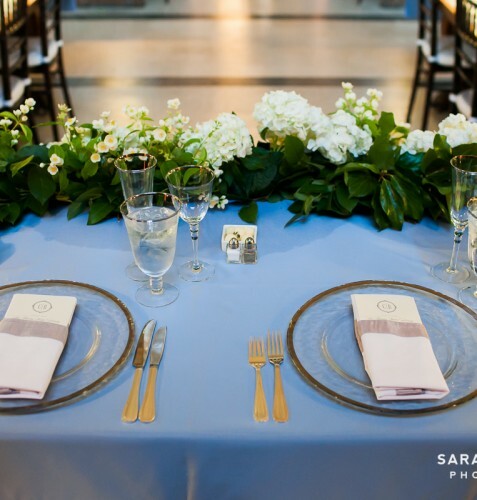 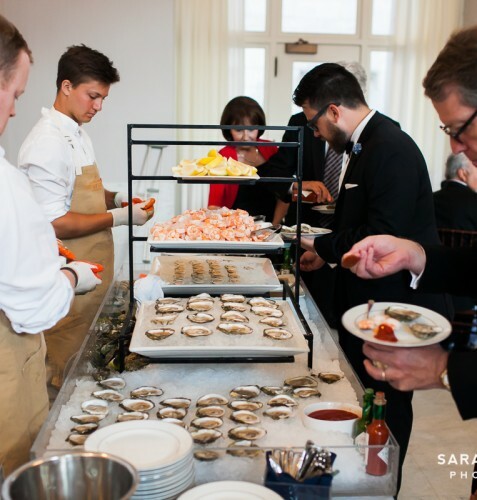 What really stood out about Caroline and Ben’s reception were the small touches that really made the entire evening about them and their family. 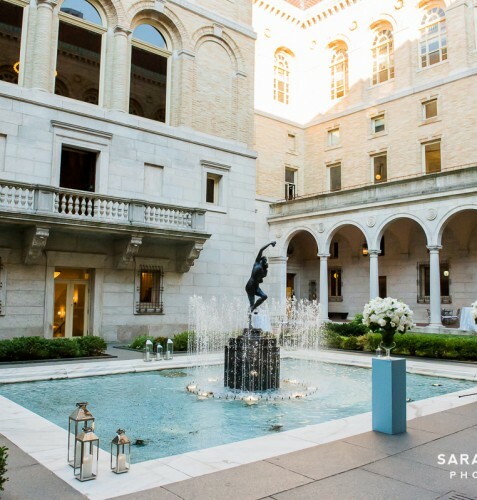 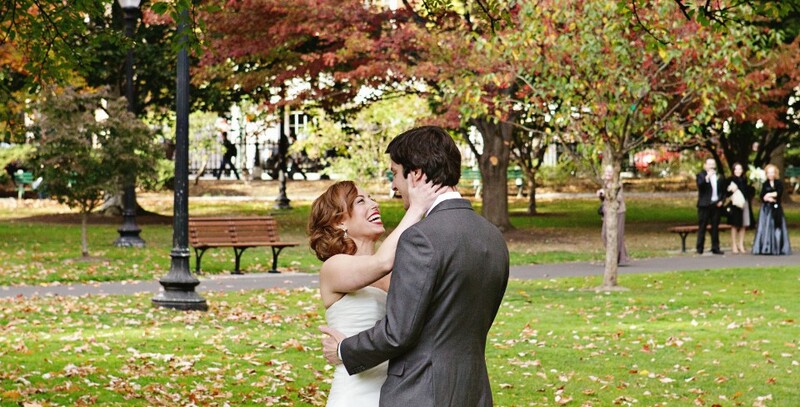 Dinner in Bates Hall was followed by the couple’s choice to have their first dance at dusk in the courtyard where the dramatic contrast of the evening skies and candlelit pathways created the perfect romantic backdrop. 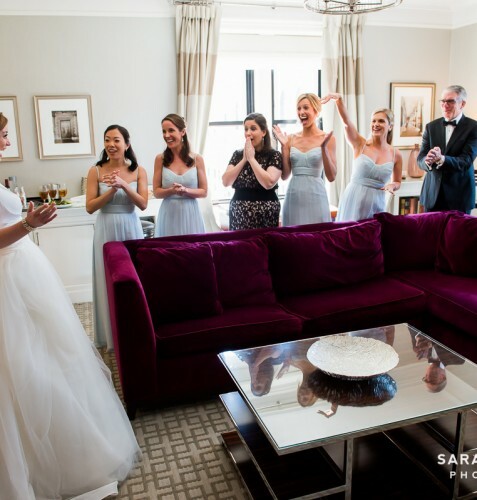 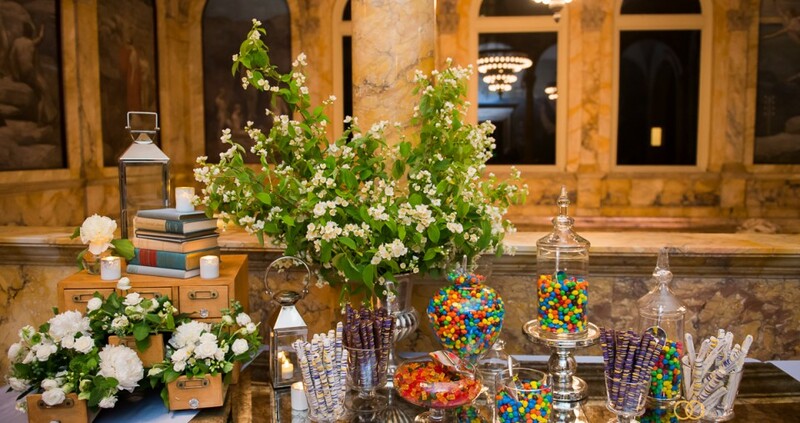 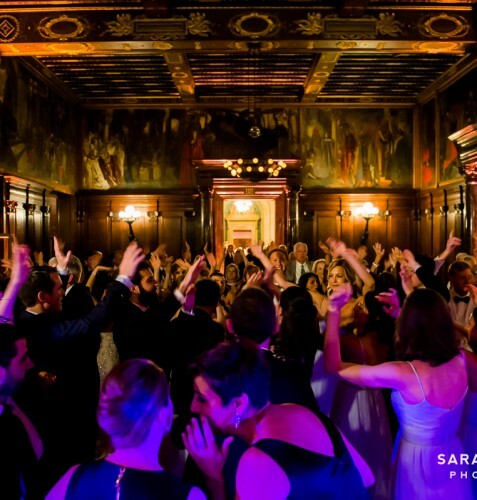 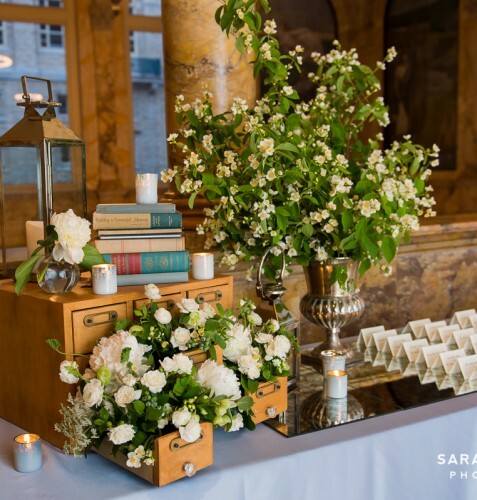 Celebrations continued as dancing in the Abbey Room began and a fun candy bar with some of the bride and grooms favorite candies was set up in the Chavannes Gallery. 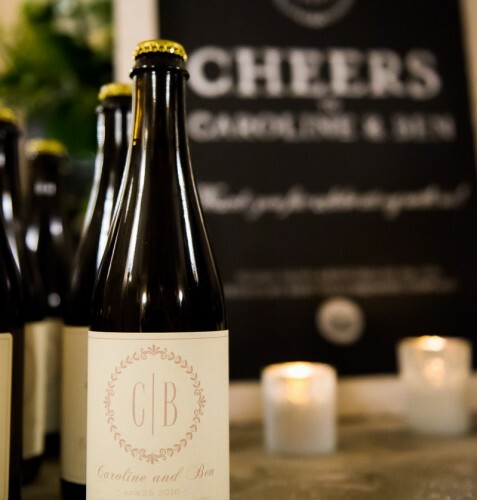 Guests then went home with the ultimate wedding favor, individual beers crafted by the best man’s brewery, Kent Trails Brewing Company!